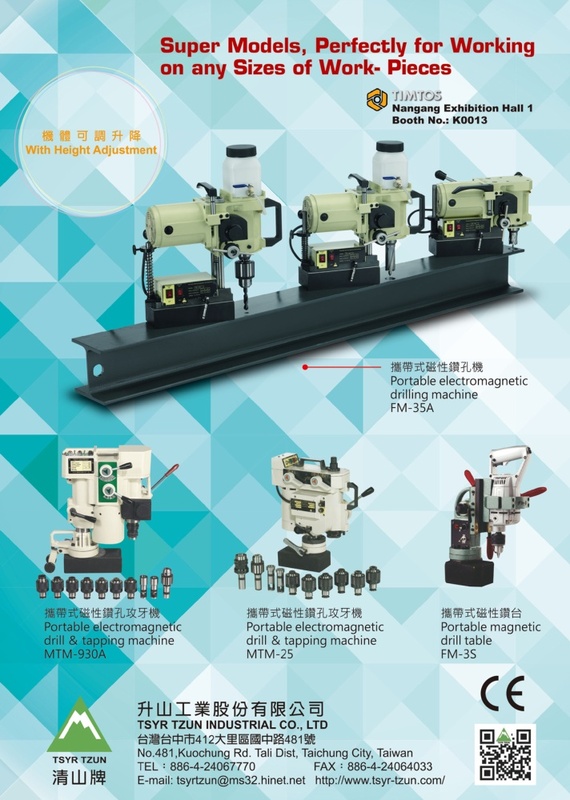 Tsyr Tzun Industry was set up in 1979 as a portable magnetic drill table manufacturer. Since initiation, we have invested a vast amount of capital in advanced production equipment and in R&D to ensure the highest quality in all product lines. We provide many kinds of magnetic drilling machines for your selection. Every type of machine has been tested before coming into the markets, therefore, their quality and precision are assured. In addition, the magnetic drill machines have been patented by Central Standard Bureau and are enjoying popularity among our overseas & domestic customers. We hope to hear your suggestions and win your support because these are the keys to make us improve.